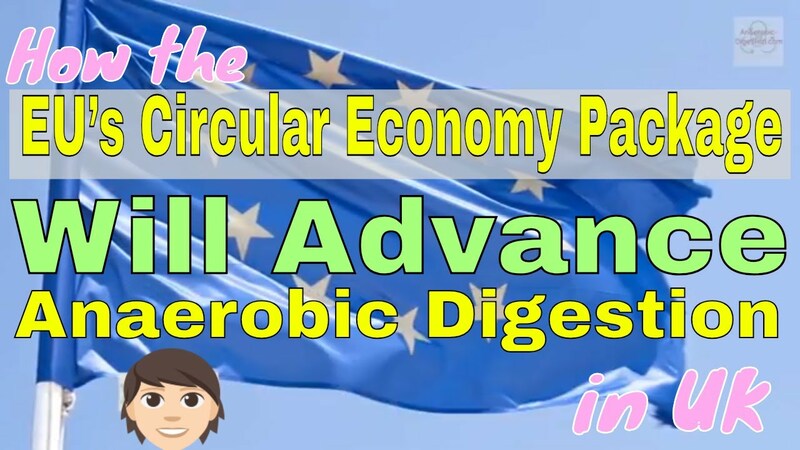 Here is the article on which the above YouTube video is based, and we have titled the, "How the EU’s Circular Economy Package (CEP) Will Advance Anaerobic Digestion in the UK". After many years of gestation, the legislative changes included in the EU’s Circular Economy Package (CEP) came into force last month (July 2018). Here we explore the implications of these changes for UK Anaerobic Digestion. One of the main headlines the sector talked about throughout negotiations on the Circular Economy Package (CEP) is the proposed increases in recycling targets. The final package (which came into force on 4 July 2018) does introduce new, higher targets, but, there are also many other ways it will affect UK waste collection and recycling practice. 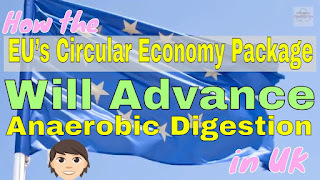 In this video we will discuss only the affect on anaerobic digestion, and the news here is that the Circular Economy Package places a greater emphasis on waste prevention and reuse in general. So, there will be a duty on member-states to promote food waste prevention and on the Commission to consider setting targets for reductions to this, and other waste streams. The requirement for separate collection of waste is strengthened and the test as to whether separate collection isn’t technically, environmentally or economically practical (‘TEEP’) is made tougher. The separate collection of bio-waste is required (by 2023), among other stipulated waste streams. The overall targets for recycling of municipal waste are increased to 55% by 2025, 60% by 2030, and 65% by 2035. Along with tightened ‘TEEP’ tests and the requirements on biowaste, etc, this is also likely to push more waste collectors towards separate collection in England, catching up with the direction of travel elsewhere in the UK. For bio-waste, various changes promote the use of anaerobic digestion and in-vessel composting over incineration. Alongside the changes to collection rules, this will push much more biowaste towards AD and IVC and, as highlighted above, strengthen the case for more UK-based reprocessing capacity. The overall impact of the changes in the CEP will be to make the case for separate collection of food waste far stronger for English local authorities. Once collected separately, this waste will need to be recycled (not landfilled or incinerated), which will drive demand for Anaerobic Digestion, and IVC until and unless food waste reduction actions bite or new technologies (such as biorefineries, etc) come along.